Yesterday it was like a miracle, the sun came out and it was beautiful, cold albeit, but beautiful. 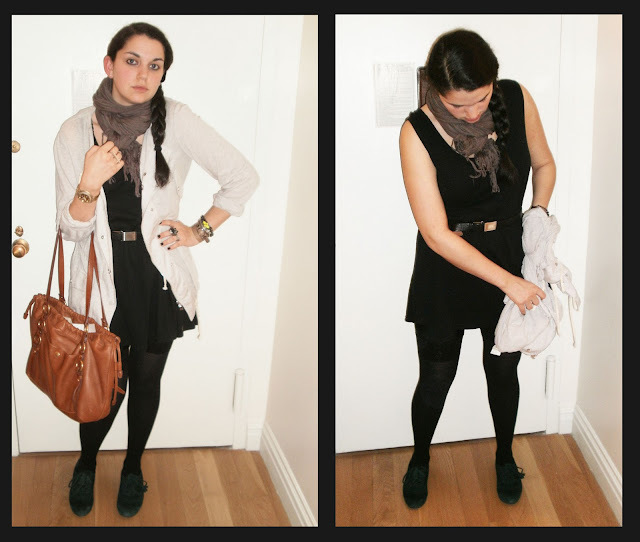 I was able to wear something other than my Hunter boots for once which brought me immense joy. Anything Phillip Lim I absolutely love. He is one of my favorite designers. His pieces are so fresh and beautiful. This jacket I bought on sale from Scoop during the summer. I really love it, it's light weight and has some really interesting details to it. Unfortunately, this picture doesn't do it justice but once i get my SLR camera I'll take some better pictures of it. 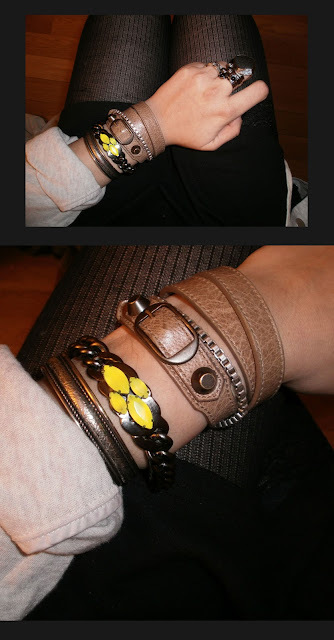 Above is a picture of my bracelets, I tend to wear a lot of them at once. The LF bracelet and Tiffnay chain are accessories I wear every day. The Tiffany chain I actually never take off. It was a gift from my grandmother for Christmas or my birthday several years ago. It's glued to my wrist. 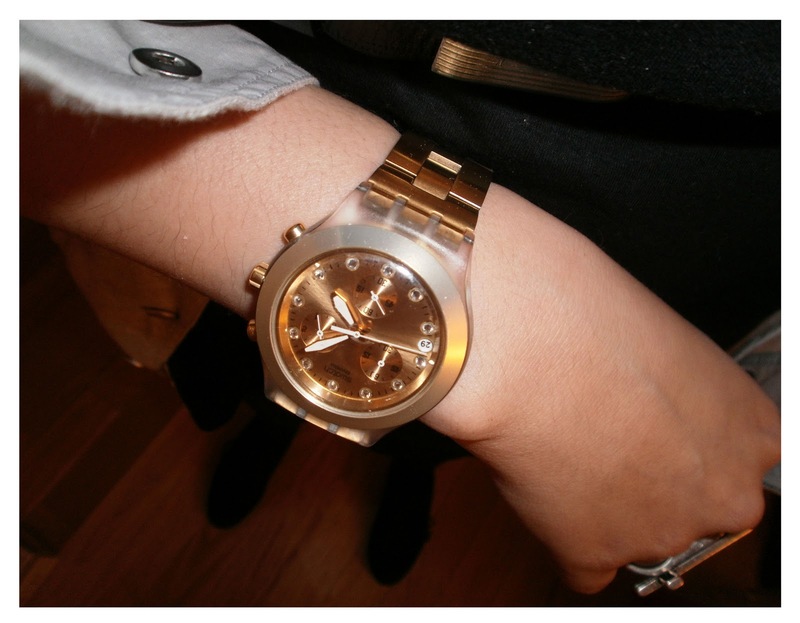 Here is a picture of my watch which has been getting neglected in these photos (because it's on the other wrist)! I think everyone and their mother owns this watch but i still love it. I bought these jeans yesterday during my lunch break. I had tried them on a couple of weeks ago and fell in love. The fabric is SO soft and they have the perfect flare at the bottom. Unlike my other bell bottom jeans I can actually wear these with flats which makes me extremely happy. 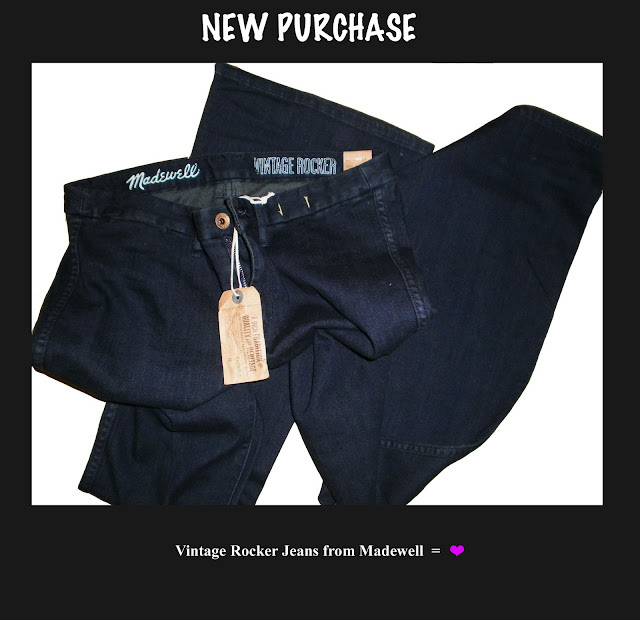 They fit perfectly and are so comfortable... they're definitely a must buy from Madewell. Great flats, love the color.